Visit Sara’s Tearooms on Great Yarmouth seafront this Easter and enjoy one of our delicious homemade dishes beside the seaside! 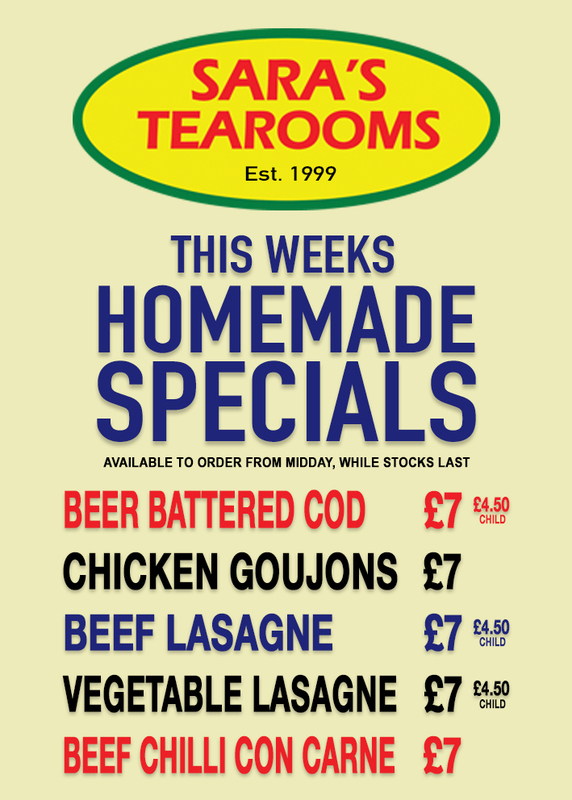 All homemade specials are available subject to availability and may be substituted for other homemade options at very short notice. Find us on Facebook & Twitter. 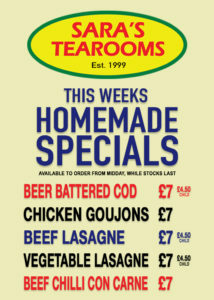 Visiting Great Yarmouth or Sara’s Tearooms at a later date? View our full 2018 opening times here, we look forward to welcoming you and your family to Great Yarmouth’s South Beach really soon.